The Efficient Frontier is a concept defined by the Nobel Prize winner HarryMarkowitz as part of an article published in 1952 named “Portfolio Selection”. He stated that an optimal portfolio is the one that delivers the best possible return for a given level of risk or investment. 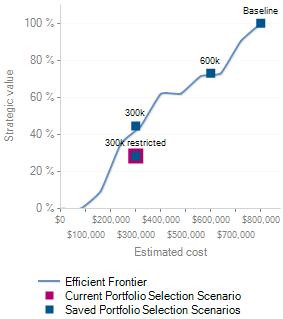 Applied to portfolio analysis, the Efficient Frontier is represented as a curve, and plots strategic value (as a percentage) against Portfolio Cost. It might happen, often when you choose to force-out some projects, that the portfolio selection scenarios is plotted under the curve, which mean that the portfolio is not optimal. Nice introduction isn’t itJ, yes. 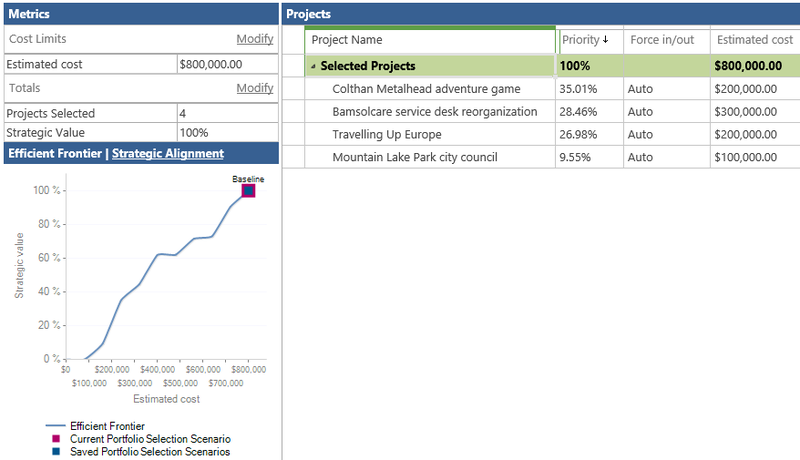 But let see how it works in Microsoft Project Server 2013. 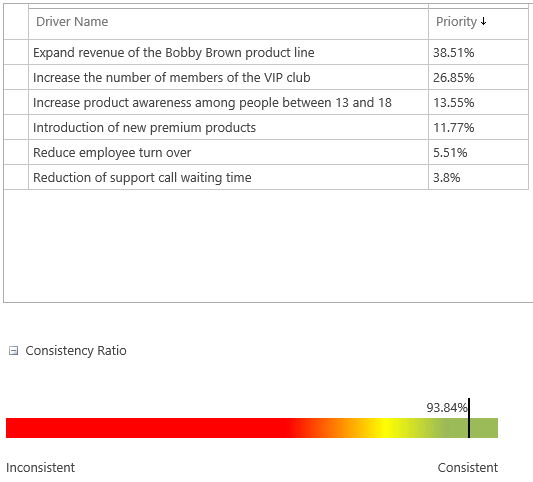 The consistency ratio is > 80%, which is a best practice, that’s a good prioritization. We can now start our portfolio analysis. Including all the projects, the baseline is given for $800,000.00, with 4 projects and 100% of the strategic value delivered. 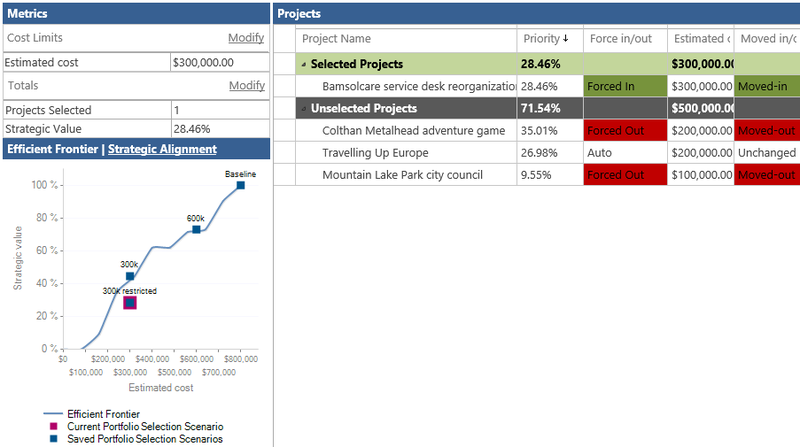 The 3 scenarios “Baseline”, “600k” and “300K” are plotted on the efficient frontier curve meaning that for the given cost, each scenario brings the maximum strategic value. They are optimal. Opposed to those, the scenario “300k restricted” is plotted below the efficient frontier. This scenario does not give the maximum strategic value for given cost constraint. It is not optimal. The efficient frontier chart will help you identify optimal portfolios.